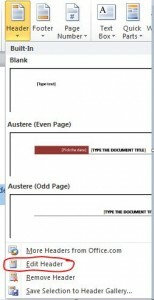 A few years back, we posted on formatting guidelines in Microsoft Word 2010. The latest version is Microsoft Word 2016. Not much has changed, but those few changes are worth noting. 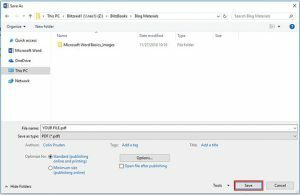 Here is a Formatting 101 guide for Microsoft Word 2016, complete with picture snapshots to guide you through each step. We always suggest a minimum of 0.5” for margins, and using a mirror margin to set a gutter edge of 0.25”. 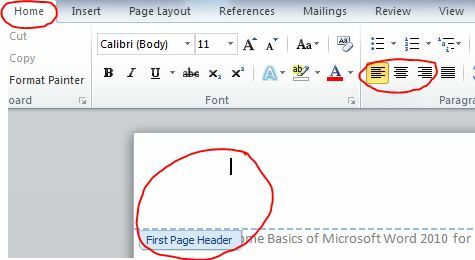 A margin is the blank space on the top, bottom, left and right side of the page. 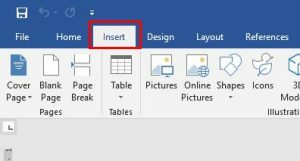 If you want an image to go right to the edge of the page, you will need to set a bleed, which is not something you can do in Word. The gutter is an additional bit of space that is added in so that the small amount of space that is lost to the bind is not noticeable. Setting up mirror margins sets the gutter so that it always falls at the centre of the page. 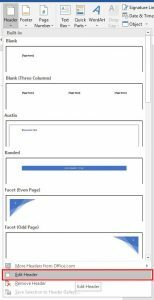 Though sometimes confused with titles, headers are actually the type that is at the very top of the page, often justified to the left or right, depending on which side the page falls on. 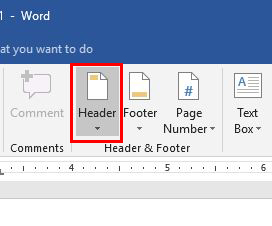 You can easily set headers in Microsoft Word 2016, and you can even have different odd and even headers. 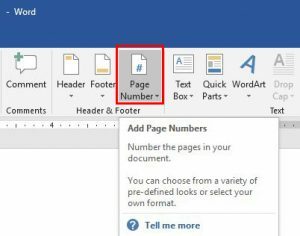 You can easily set page numbers in Microsoft Word 2016, and you can have a different first page, and odd and even pages with page numbers as well. 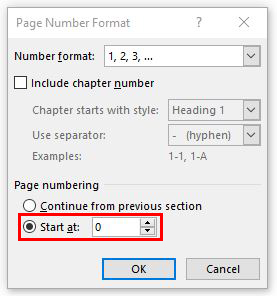 You can choose to have your numbers start at different points and you can choose to have Roman Numerals for your preface (pages before the first page of your story). The saying goes that a picture paints a thousand words. Pictures and images can add a lot of aesthetic value to your book. 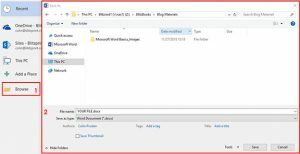 Portable Document Format (PDF) is a file format used to present and exchange documents reliably, independent of software, hardware, or operating system. It captures all the elements of a printed document as an electronic image that you can view, navigate, print, or forward to someone else. 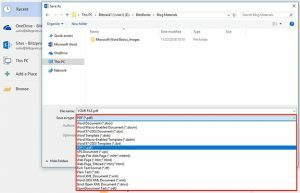 PDF files are created using Adobe Acrobat , or similar products. 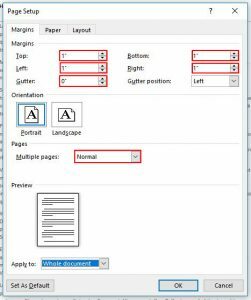 The benefits of using PDF are that everything your print provider (that’s us) needs is there and embedded fonts mean fewer issues. 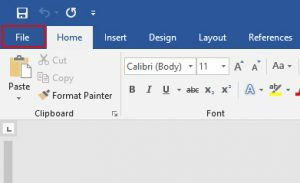 Save to PDF when you’re finished in Word. If you need to make changes, do so in Word, then save to PDF again. And that’s that. Here endeth the (formatting) lesson. We hope it helped. 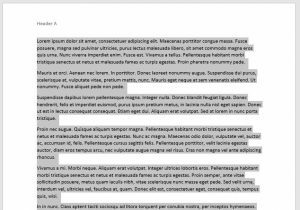 Proper formatting can seem tricky at first, but once you get the hang of it, you’ll be formatting like a pro in no time. The ISBN. What is it? Why do you need it? And how do you get it? 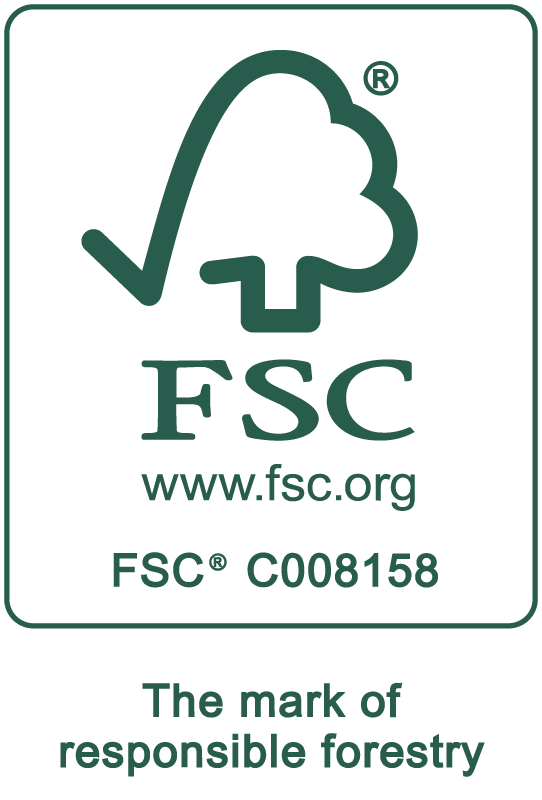 An International Standard Book Number (ISBN) identifies a title and its publisher. 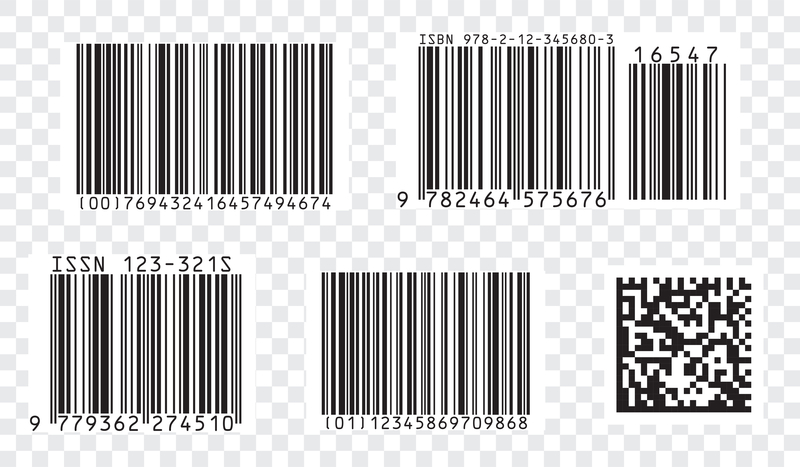 ISBNs are issued by individual agencies in every country that adheres to the standard. In the United States, you can acquire your number through www.isbn.org. In Canada, ISBNs can be acquired through Library and Archives Canada. You are under no obligation to get an ISBN; however, marketing your book will be difficult without one, as industry sales and distribution systems depend on them. It’s simple and free to sign up. Register through ISBN Canada, or if you don’t have internet access, you can use the Library and Archives Canada mailing address. It takes about 2 weeks from time of registration to receive your ISBN(s). Cataloguing in Publication (CIP) is a voluntary program of cooperation between publishers and libraries, and a free service in Canada. Unfortunately, CIP service has been discontinued for self-published materials. 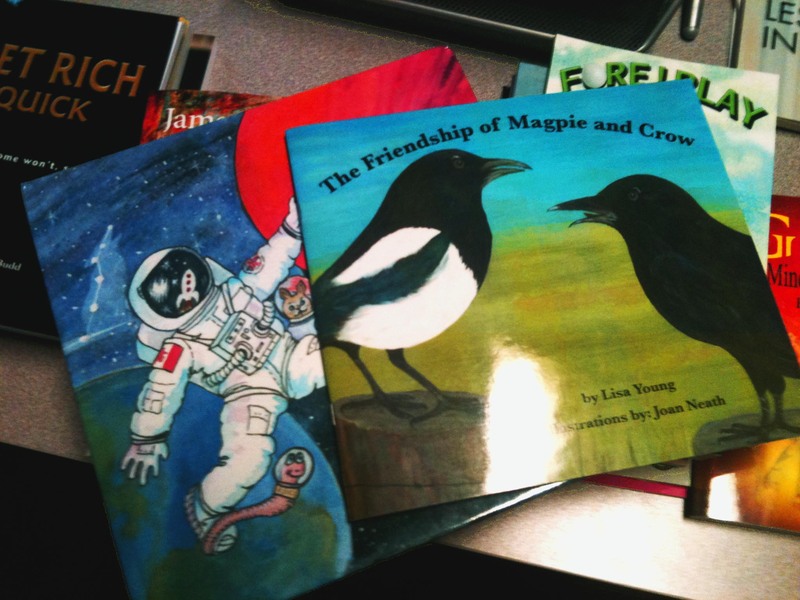 Library and Archives Canada recommends that authors of self-published books consider approaching their local libraries or bookstores about opportunities to promote their works. After your first print run is complete, and if you registered for an ISBN, it is important at this point that you send in a copy of your book to Library and Archives Canada. This is called a legal deposit and confirms the information that you provided for your book and completes the registration process. Legal deposit applies to publications produced in Canada regardless of medium or format, including, for example: books (monographs); serials (journals, periodicals, magazines); sound, video and spoken-word recordings; multimedia or instructional kits; CD- and DVD-ROMs; microforms; cartographic materials; and online or digital publications. At Blitzprint, we always recommend our clients register for an ISBN. Better to have one and not need it, than to need one and not have it. 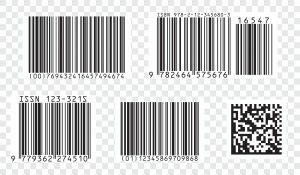 For each client, we will create, free of charge, a barcode from the ISBN to insert on the back cover of the book. For more information about ISBN, CIP and copyright protection, visit ISBN Canada. Aside from the story itself, here are a few additional suggestions you will want to consider adding inside of your book. Title Page – It’s always nice see a clean title page when you open a book. In the second blog of the series, we will be discussing UV Coating. UV Coating is a lacquer that is applied to a book cover with an offset press, providing a very high gloss finish. In order to have a UV Coating finish the entire cover must be printed offset. It is applied as a liquid as a flood (covers whole surface) and then dries clear. It effectively protects against sun fading , and very minimally against general wear and tear of a book. You are likely to get frayed corners, and to eventually experiencing cracking with this type of coating. If you want your cover to be embossed or debossed, this is a fantastic finish options for you. It is probably the best option. The UV floods into the ridges and ripples covering all nooks and cranny’s of the surface, just like varnish, but it provides a stronger, better finish. UV Coat is only available in a high gloss finish. Typically only one flood of UV is necessary. As always, offset cover printing is an expensive option if you are not doing over 1000 books, and UV Coat is not available through all offset printers. Be sure to confirm that a printer actually offers UV and not just multiple coats of gloss varnish. UV Coat can be used as a coating for any type of book, including litho-wrapped books. Next week we’ll discuss varnish coating. 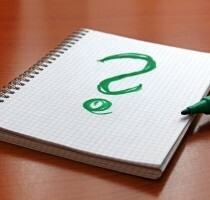 You want to protect the cover of your book, of that, there is no doubt, but what is the best way? It depends on your cover and book, really. Over the next several weeks we will discuss the different finishes, with their pros and cons, so that you can confidently decide for yourself which coating will best suit your needs. Film laminate (Commonly referred to as book laminate, or single side laminate in the book world, and will likely be called this on any quotes that you receive) is a very thin layer of a poly (plastic) material that is attached to a book cover using high heat and a roller press. If done correctly, this protective coating will last you a lifetime. It protects against liquid damage, sun fading, tearing, cracking, and general wear and tear of a book. You won’t get frayed corners with this type of coating. If you want your cover to be embossed or debossed, however, this is likely not the right finish for you. The ridges and ripples can prevent a tight seal and adhesion of the laminate to the surface of the cover. With film laminate, if you experience any air bubbles, or lack of adhesion, you run a high risk of delamination, where the laminate lets go of the surface, either in spots or on the entire cover. Film laminate is available in both gloss and matte. While the technology to create a sturdy matte laminate has come a long way, gloss laminates are still recommended for covers that have wide spread areas of dark or highly saturated colors, as matte still scuffs more easily, and scuffs are also more evident, than with a gloss finish. Film laminate can be used as a coating for any type of book, even litho-wrapping. 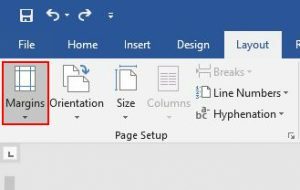 Though sometimes confused with titles, headers are actually the type that is at the very top of the page, often justified to the left or right, depending on which side the page falls on. 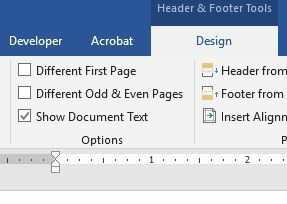 You can easily set headers in Microsoft word, and you can even have different odd and even ones, as well as a different first page. With that being said, you can not have your headers change throughout the book (ie. When a new chapter starts) and you can not have some of the pages not have headers. 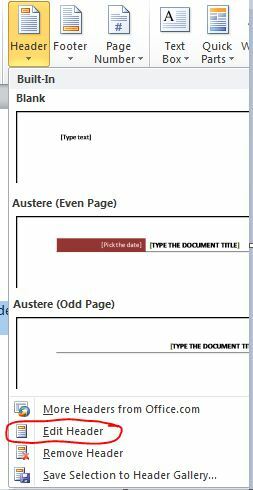 If you are wanting different headers for each chapter, or blank headers for your title page, table of contents, etc, I will suggest creating those sections separately, and then putting them all together once you have PDF’d the files. 3. 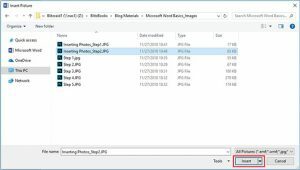 Go all of the way to the bottom of the list, and select Edit Header. You will now find yourself in your header. 4. Select different first page, and different odd and even pages, if you want them, at this point. We recommend that you select different odd and even pages. See step 6 for more information. 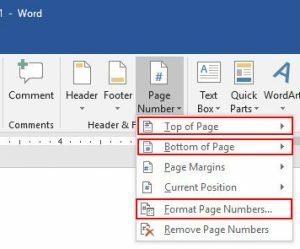 If you choose different first page, be sure to create your odd page header on page 3, instead of page 1. 6. 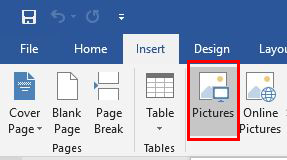 Choose your orientation of where your header should fall on the page now. 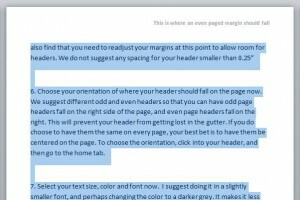 We suggest different odd and even headers so that you can have odd page headers fall on the right side of the page, and even page headers fall on the right. This will prevent your header from getting lost in the gutter. 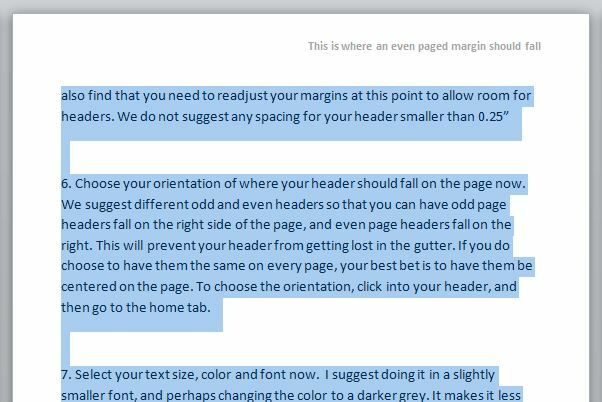 If you do choose to have them the same on every page, your best bet is to have them be centered on the page. 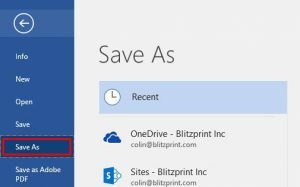 To choose the orientation, click into your header, and then go to the home tab. 7. Select your text size, color and font now. I suggest doing it in a slightly smaller font, and perhaps changing the color to a darker grey. It makes it less predominant on the page. 8. Put in your text now. If you have different odd and even pages, you will have to repeat steps 6 & 7 on the next page. 9. Double click on the center of the page, and you will return to your normal text body.